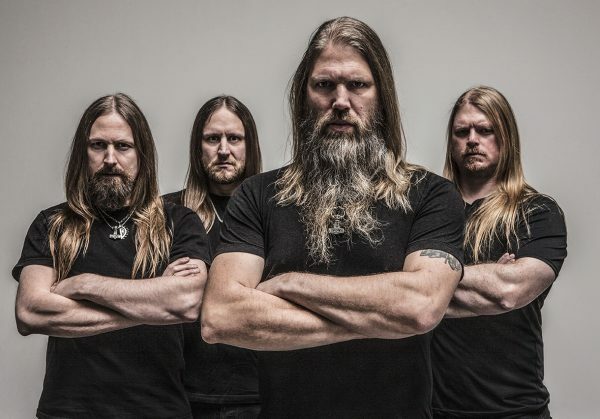 After headlining a North American tour earlier this year, and appearing at premier festivals across Europe all summer, Amon Amarth is ready to launch their new video. “Raise Your Horns” features live footage from their San Diego (USA), London (UK), Paris (FR), Tilburg (NL), Berlin (DE), and Hellfest (FR) shows, as well as clips of fans, artists, actors, sports stars, and friends raising their own horns to the band! Watch it below…. Starting today (Monday, September 19th), fans also have the chance to win a Grimfrost prize pack, including their own carefully polished and cleaned top quality Viking drinking horn (which holds 4 litres, 8 pints or 128 oz)! The grand prize winner will also receive a Berserker t-shirt, Heathen t-shirt and a stainless steel Wolf King Chain with Grimfrost’s Thor’s Hammer necklace, all featured in the photo below. Presented by Amon Amarth in partnership with Grimfrost, the contest is open to the global public and ends on October 10th @ 5pm UK time. To enter, please visit this location and merely submit your email address! Continuing their worldwide tour in support of acclaimed new album Jomsviking, Amon Amarth will head back out on the road starting October 28th with support from Testament and Grand Magus, and on select dates Behemoth and Dawn of Disease. 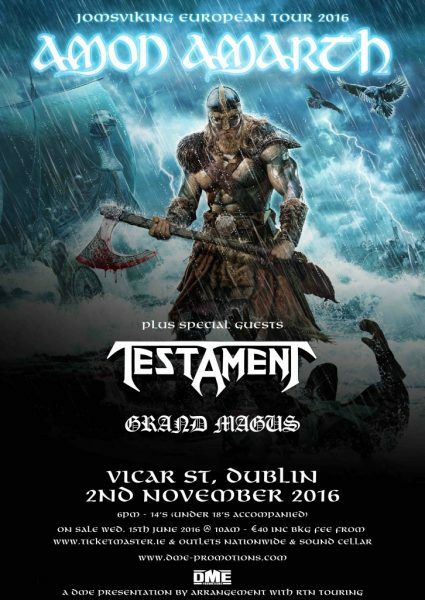 Tickets for the Dublin show in Vicar Street Venue on November 2nd, are on sale now via Ticketmaster and other ticket outlets. For more information, please check out DME Promotions. Please check the band’s official website for a full list of dates. Amon Amarth released their 10th full-length, Jomsviking, earlier this year. As the band’s first concept record in their storied career, Jomsviking tells a tragic, original tale of conflict and revenge, backed by the Swedes’ trademark melodic, anthemic metal – which was produced and mixed once again by Andy Sneap (Megadeth, Testament, Accept). 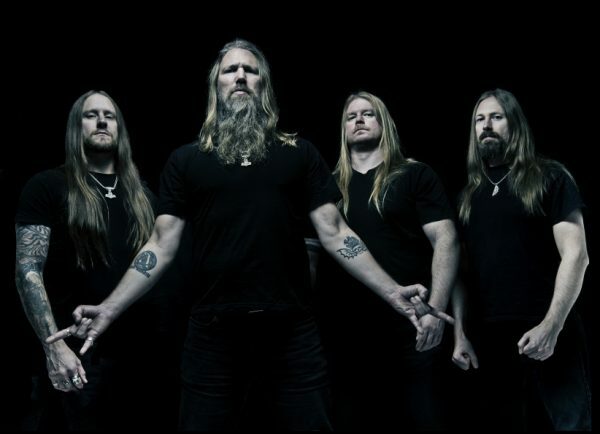 For their efforts, Amon Amarth swept into some of their highest chart positions to date across the globe (including a #11 spot on the USA Current Album Billboard Chart). To purchase and preview Jomsviking, please visit amonamarth.com, where the album is available in various formats and previous videos for “At Dawn’s First Light” and “First Kill” can be viewed.